Before Easter we’d had the joys of snowdrops and the daffodil were looking willing, but this week has seen the daffodils burst out and come the end of the week, warm sunshine came along on Thursday too. 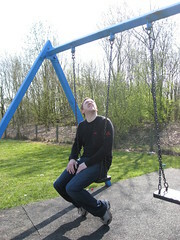 I was very glad of that sunshine as my limited energy was beginning to bug the hell out of me. Getting outside to the patio (a few feet from the sofa) to photograph some projects proved that the sunshine was warm enough to be outside without being wrapped in tonnes of layers too. So after unsuccessfully being artistic (my snapping had to happen from a seat) I grabbed my knitting and sat outside for an hour to knit. Pic of what could have been more artistic if I’d got the snap angle better: Still, a pretty daffodil and cheerily bright socks. 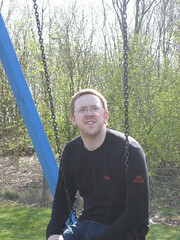 Two pics of Simon (I had the camera) on the swings. The first-helicoptor spotting as only he knows how! 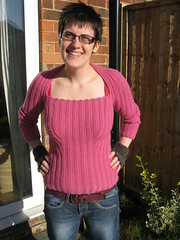 Sensible or mad I’ve also been considering ripping back a sweater I’ve had LOADS of compliments about (and the most hearts on ravelry), because honestly I’ve only worn it a handful of times. Next sensible choice is to shut up, hurry my hubby out of the bath so we can have a beer and some food together. January’s been a strange one. I gave studying a go, but was running on adrenalin, for which I’m now paying healthwise. Not financially too though, as thankfully I realised before the official course sart date. Someone shoot me next time I get a case of the “should” or “ought”!! Knitting wise I got all evangelical about finishing my UFOs, but it’s been slow after the christmas knitting rush. A big purple balnket that I made and then ripped back, is ALMOST a new blanket, but not quite-the colour is finally growing on me though. 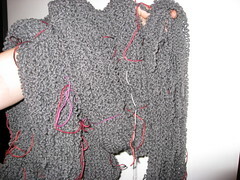 I sold/traded some of the yarn I got because it was cheap, but didn’t really like the colour-lesson learnt there, colour matters big time to me. 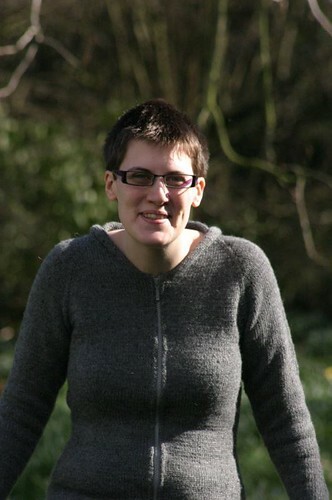 am planning a long short-sleeved top down sweater with it-how i ever managed to get a hoody cardi out of it I don’t know-but should have enough for the new project. 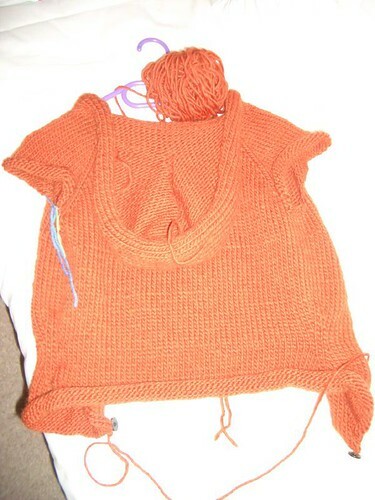 I haven’t knitted much (1 pair of socks, 1 sock knitted and frogged) at all this summer and knitting was beginning to become the big elephant in the corner. I thought my pattern notes were in my weekend bag in the loft. Turns out they’re still at my parents. 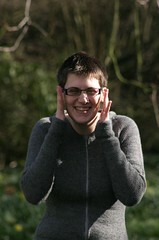 I shall wind some wool today/tomorrow in anticipation of my pattern notes arriving soon. Maybe I should spend some money on some yarn too to prevent the frogging urge further-although still tempted to reknit the mitts with a thumb gusset-much much more user friendly. Bought for a hoodie for myself… it was going to add too much bulk to my slimmed down self though. also not 100% sure about the colour for me. 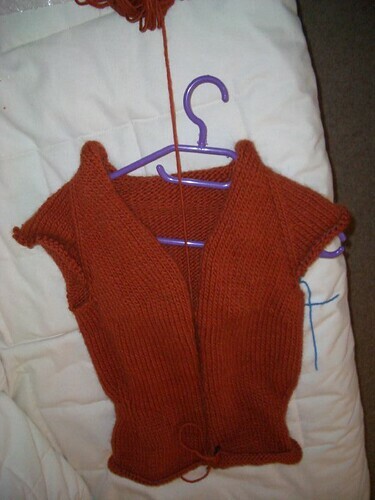 bought extra wool and it was then a finished sweater for simon, but was a bit skimpy and bulky again! 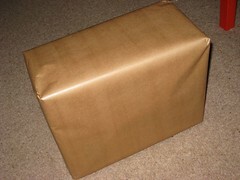 it was then made into something of a mystery parcel for Tom. The golf club covers I knitted for my dad went down a treat. I just need to grab the photos off him to share with you! 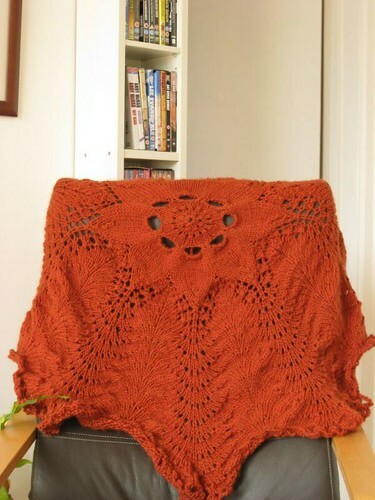 I finished one project of doom and now love it! It’s my second hemlock ring blanket in the yarn that was a hoodie for me and a sweater for simon first. The yarn is perfect for the end project. 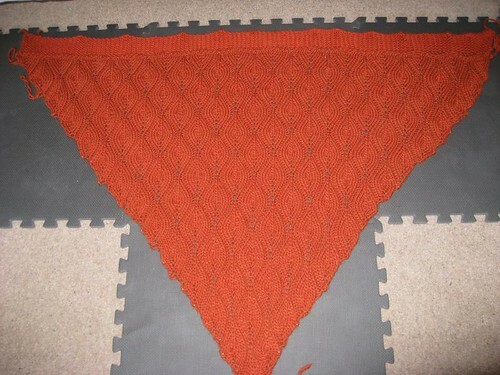 I need to block it, photograph it and post it off to Tom-I told him it’d be ready for summer. OOPS! The weather is gorgeous, but the need for an Alpaca blanket is not high. I finished a pair of Opal Hundertwasser socks. They weren’t appealing on the needles, but on my feet and in my shoes, I love them. I’ve also started my first proper lace project. 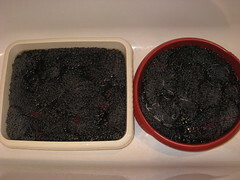 As in lace pattern, in lace weight wool. I went to see Cats (the musical) in Leeds on Saturday afternoon. I am very pleased that we got a show guide, as lo’ and behold knitting gets a mention. 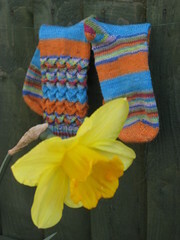 I’d finished a pair of socks in time to wear them-got to keep warm. The socks, still not photographed had been finished, ends sewn in and everything a few days earlier, but after wearing them I decided that they were too short. The downside of a sewn cast off is pulling it out, but that done, the ribbing ripped back to the pattern and having lengthened them, I’m as happy as I’ll ever be with them. One of my first posts here was about colour and I mentioned my love of colour, but that I wasn’t sure about multicoloured yarn. I fell foul of the magpie syndrome. This sock wool looked pretty in a skein-gorgeous in fact, but I bought it on the internet and there were no knitted up versions available to see how the colour placement worked out. For socks which are red, with shots of bright blue and lime green, they’re decidingly boring and lack the pizazz I was hoping for now they are knitted up. I really do think socks is one place you can get away with mad colours, but it’s the placement of those colours that can make or break it?! You are currently browsing the archives for the yarn stuff category.